Published: Nov. 1, 2010 at 03:20 p.m.
Just four weeks ago, Randy Moss gushed about returning to Minnesota. He felt fortunate to return to his first team and was looking forward to seeing those purple No. 84 jerseys again. So much for the happy reunion. 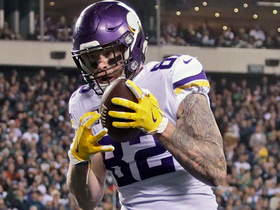 After three disappointing losses in four games, the Vikings decided to dump the six-time Pro Bowl wide receiver following a loss to New England that had Moss wistful about his Patriots days during a bizarre postgame rant. It was another shocker in tumultuous season for a team that began the year with Super Bowl aspirations. Coach Brad Childress confirmed the Vikings' intent to waive Moss in a statement released late Monday. "This decision was made based on what we thought was in the best interests of the Minnesota Vikings, both in the short and long term," Childress said. "We wish Randy the best as he moves forward in his career." Vikings players said that Childress informed them during a Monday morning team meeting that Moss was no longer with the team. Has Childress lost the locker room? » Where could Moss land? NFL Network's Michael Lombardi first reported Moss' release. Childress did not initially tell management of his desire to part with Moss, according to Lombardi, but Childress did tell the team that Moss would be waived. Childress has control over the 53-man roster. The league has released Monday's waiver wire to authorized personnel, and Moss is not included on it, a source with access to the wire told NFL Network insider Jason La Canfora. The deadline for daily transactions is 4 p.m. ET. The Vikings will likely put Moss on waivers Tuesday, though the team didn't specify when he would be released. When Moss is officially waived, he will have 24 hours to pass through waivers. Teams can claim Moss and the remaining $6.4 million base salary on his contract during that period. 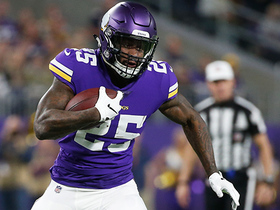 If Moss is not claimed through waivers, he would become a free agent, but the Vikings would still be on the hook for the remainder of his contract, which expires after the season. 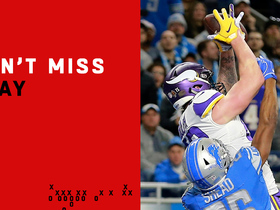 Fox Sports and NFL Network's Jay Glazer reports that Vikings players were taken by surprise by Childress' announcement and are "livid" over the move. Childress and team officials didn't respond to messages seeking confirmation of the decision. Moss' locker at Winter Park remained full of his practice gear when it was open to reporters in the afternoon. About an hour before the news came out, Childress took 12 consecutive questions during his regular news conference about Moss, his effort, and his mindset in response to a rant by Moss following Sunday night's 28-18 loss to the Patriots. Moss, who was fined $25,000 last week for failing to cooperate with the media and make himself regularly available for interviews, stepped to the podium after the game but announced he wouldn't take any questions. He repeatedly expressed admiration for coach Bill Belichick and his former team and criticized the Vikings for not taking enough of his game-planning advice. Moss had only one catch for 8 yards against the Patriots. In four games for the Vikings, he had 13 receptions for 174 yards and two touchdowns. Childress didn't mention the move when he talked to reporters Monday and said Moss was staying back in the Boston area for a few days to spend time with family. Asked whether he regretted acquiring Moss, the coach said "not at present." Moss, who was traded from Minnesota to Oakland in 2005 after finding his share of trouble and frustrating the organization with his attitude, expressed eagerness to connect with Brett Favre when he arrived and talked about how much he still loved Vikings fans some 5½ years after his departure. 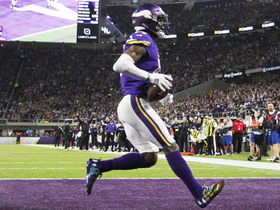 While his presence opened the field for wide receiver Percy Harvin, who has blossomed into one of the league's most dangerous offensive players, Moss never materialized into the deep threat the Vikings sought when they traded for him Oct. 7. His longest catch was a 37-yarder, and he was only targeted twice against the Patriots. Childress said Monday he didn't see Moss' remarks as "incendiary." The closest he came to criticizing him was acknowledging he could've caught a pass that fell incomplete in the end zone while the Patriots were called for pass interference. "But again, I don't know," Childress said. "He was restricted. If they called pass interference, there had to be some kind of restriction." Asked whether he felt Moss had been playing hard, Childress said, "He's playing hard when he needs to play hard." Linebacker Ben Leber was one of a handful of players who appeared in the locker room and expressed surprise at the move. But he didn't sound happy about Moss' postgame remarks, either. "It was just, 'Wow,'" Leber said. "Just because it sounded like it was unprompted and sounded like he wanted to get some stuff off his chest. He certainly has every right to do that. I don't think that's the way to do it." Leber said Childress didn't give the team much of an explanation. Moss's contract called for a $6.4 million base salary this season -- leaving the Vikings on the hook for at least $1.5 million. If Moss is claimed on waivers, the team that signs him is responsible for the remainder of his salary. If he clears waivers, then he can sign as a free agent under new terms. Claiming priority is based on inverse order of the current standings, so the Patriots -- who lead the league at 6-1 -- would be last. Belichick declined comment Monday. "You can't bait me into it," he said. His players, though, expressed surprise that their former teammate is available again. "I'm just hearing about this right now. Crazy," right guard Stephen Neal said. Whether Moss would be welcomed back, well, that's up to Belichick. "Whatever he decides we're open to as a team, and I'm sure he'll do what's best for the organization," wide receiver Wes Welker said.